Twice in The Hurricane Heist, the hero, a deep south Alabama meteorologist, uses a hurricane as a weapon. Either that idea excites a potential viewer of Hurricane Heist’s B-movie schlock or it turns them away. That’s the type of movie this is, everything an audience should expect from a movie concerning a robbery of the US Treasury during a category five storm. That’s dumb. As Hurricane Heist pushes on, it’s dumber still. It’s creatively dumb though. Sequences of destruction pair with boomy shoot-outs as triple digit winds swarm around characters. Hurricane Heist opens with a death that’s cruelly funny rather than tragic. 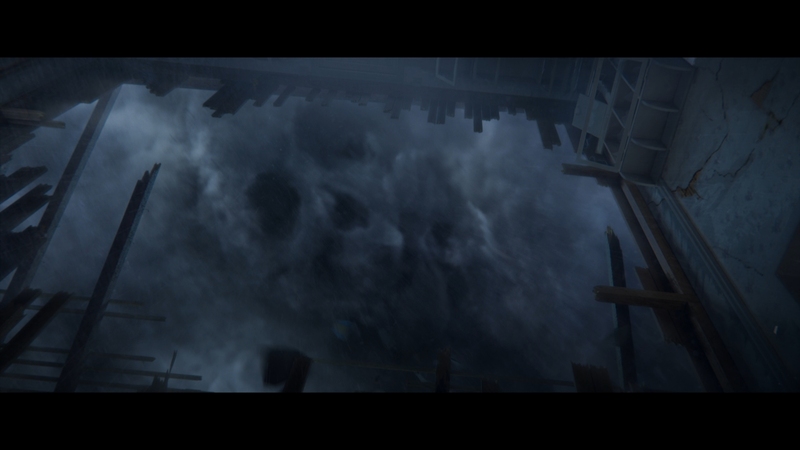 A cloud forms into an angry skull, then flips a house from its foundation for a bit of spectacle to finish the intro. It’s zanier from there. Hurricane Heist makes everything a thrill. Direction and editing make a weather prediction scene edge-of-your-seat material, one step shy of utilizing Michael Bay’s nauseating spinning camera style. There’s a lot of nostalgia for the late ‘90s dorky disaster cycle here. 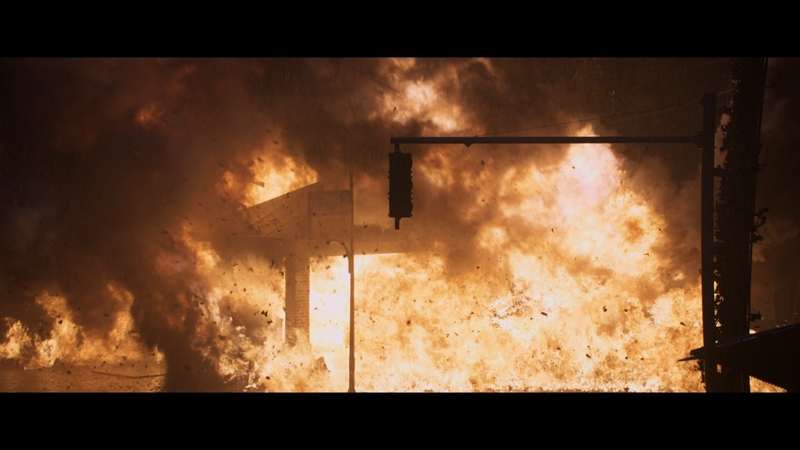 Recalling Tommy Lee Jones leaping away from a lava flow in Volcano, Hurricane Heist puts characters in similar situations, doing equally nonsense things, with equally hokey visual effects. There is a script. Four writers earn credit between the story and screenplay, plotting out a tale of two football loving ‘Bama brothers who drive trucks and shoot guns. They have to protect the blonde federal agent tasked with guarding some $600 million in cash destined for destruction, because somehow the specially trained federal agent can’t protect herself. It’s all up to them there good ol’ southern boys. Minimal dialog that isn’t an outright threat or negotiation lazily concerns climate change (that’s why the storm is coming). There’s still more about inequality. Standing around piles of $20 bills, discussions wonder why that money is being shredded as opposed to put to good use. Moralizing, in a movie about a hurricane that makes cloud skulls. 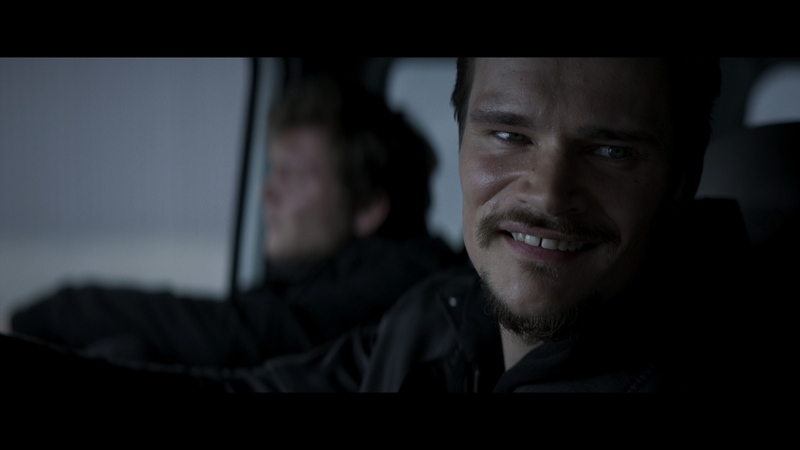 Hurricane Heist sure is special. Don’t worry: Those awkward scenes flash by. 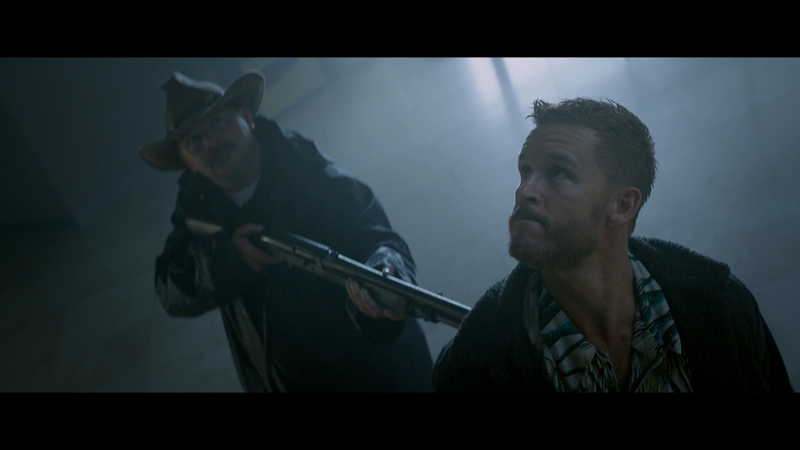 Hurricane Heist is all about the storm and bullets. Set pieces roll off into another set piece, each increasingly ludicrous and logic-defying. This is the movie type where that’s appreciated though. Stuff breaks and things flood. All the while, people fight in the middle of this mess, shooting one another while growing ever angrier. 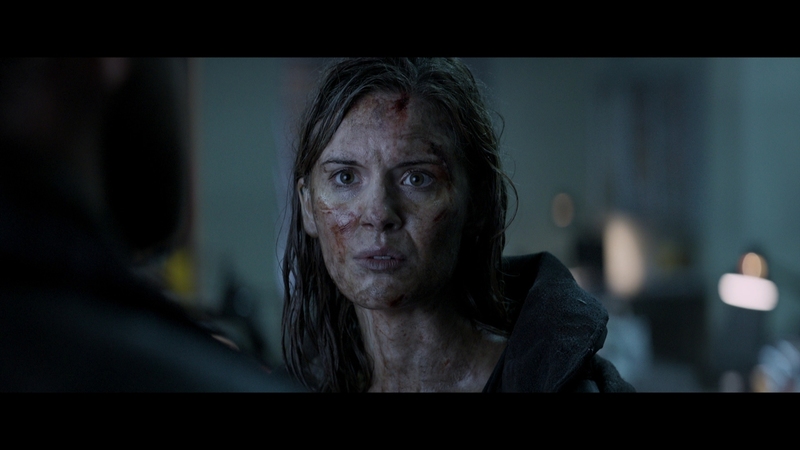 By the finale, Maggie Grace is so covered with cuts, blood, and mud as to be unrecognizable. She’s had a day. So will anyone who drops into Hurricane Heist expecting brain-turned-off spectacle. 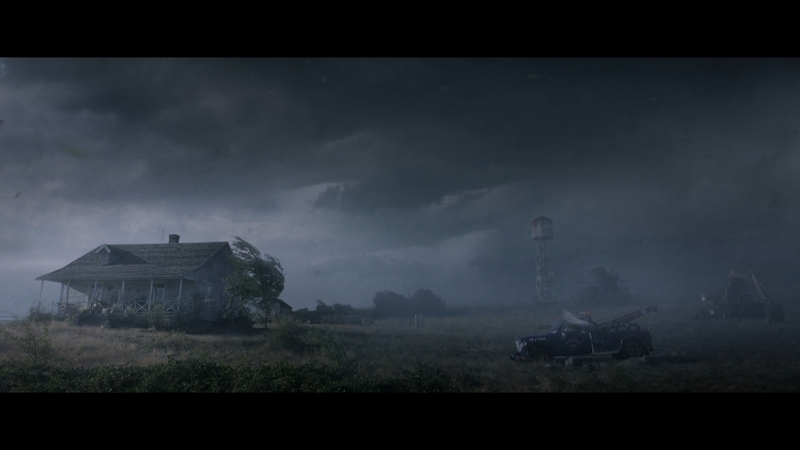 An odd one Hurricane Heist is. 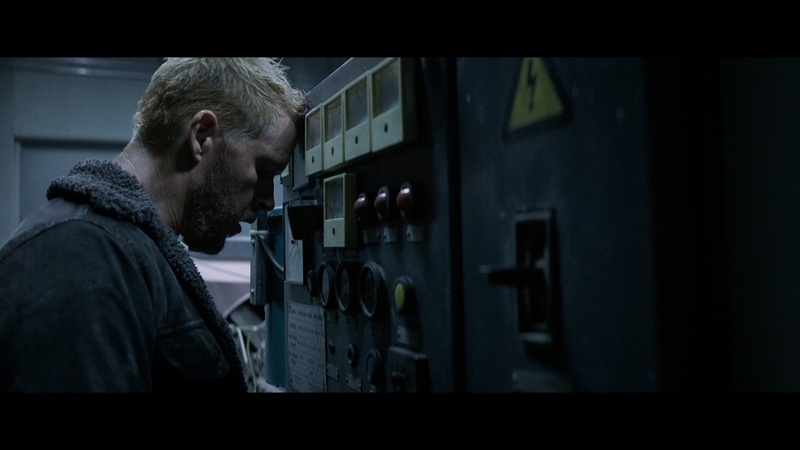 There’s undoubtedly a fine looking film here. In spots where detail shows, textural sharpness looks superb. Close-ups pull out sensational fine detail. Even effects scenes display pleasing resolution. What’s wrong? Piles of edge enhancement. 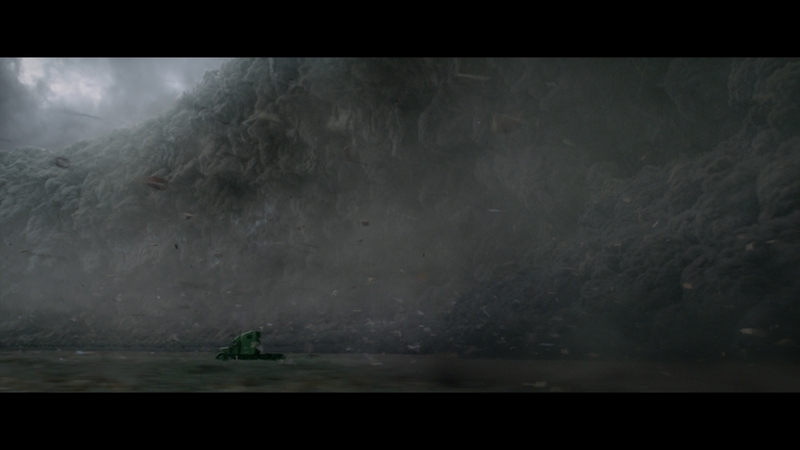 Every frame of Hurricane Heist shows unnatural rigidity. Halos surround everything. Some vents flicker as they pass in the camera; that should not happen and would not were this left untampered. Noise swarms the video encode, made worse as the sharpening pulls out the artifacts, further reducing possible clarity. 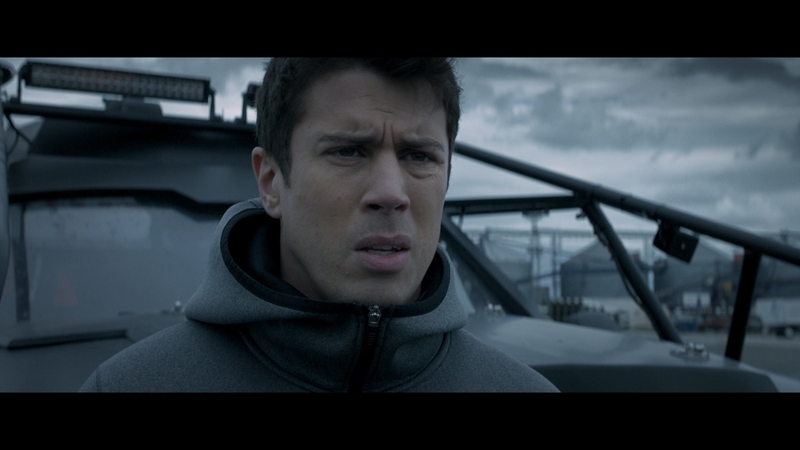 The savior is an HDR pass, taking contrast up a notch over the relatively dreary overcast look held by Hurricane Heist. Early on as the camera passes by a row of computer monitors in a dark room, screens light up with superlative sizzle. A laser sight later is equally forcible. Highlights remain stout, bright and pairing well with black levels. If not rock solid, they offer enough dimension to slip by without drawing any attention to themselves. If edge enhancement clamps down on the UHD, then said tampering nearly butchers the Blu-ray. Compression parameters cannot hold up against the enhanced noise. 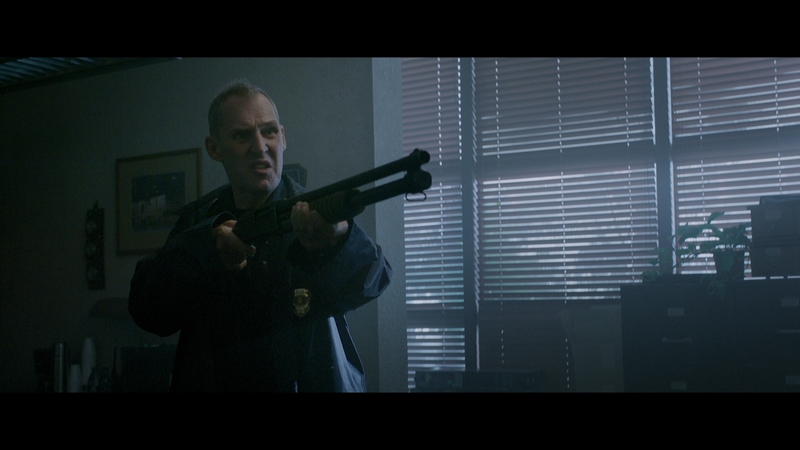 Hurricane Heist sinks under digital mismanagement, leaving artifacts around already obnoxious halos. A high resolution source does manage to extract fidelity. Performance in close finds excellent detail and with consistency. Some of the key disaster images, with some of the finest points hidden behind heavy rain/mist, do look superb. They keep their popcorn appeal. Mistakes in the video fade away as this Atmos track rolls along. 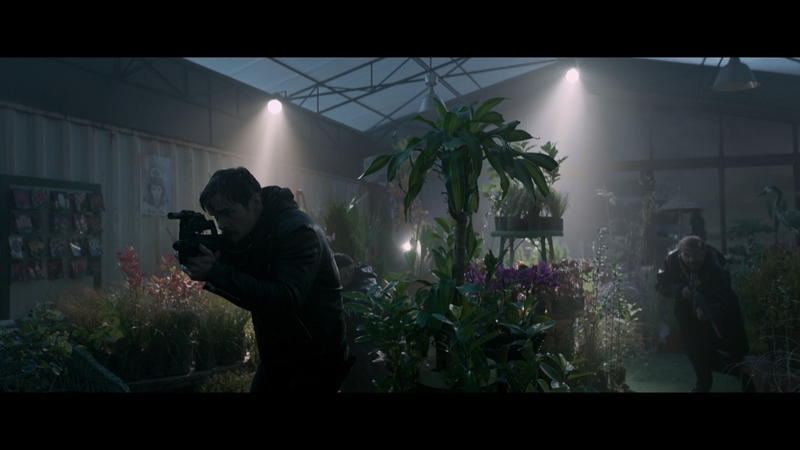 With immediate thunder and rain effects, the weather of Hurricane Heist maintains a constant presence. Thunder rocks the LFE when indoors or out to different degrees. Destruction feels enormous as do the engines of the various vehicles as they come close. And gunfire? That’s boomy and well supported. 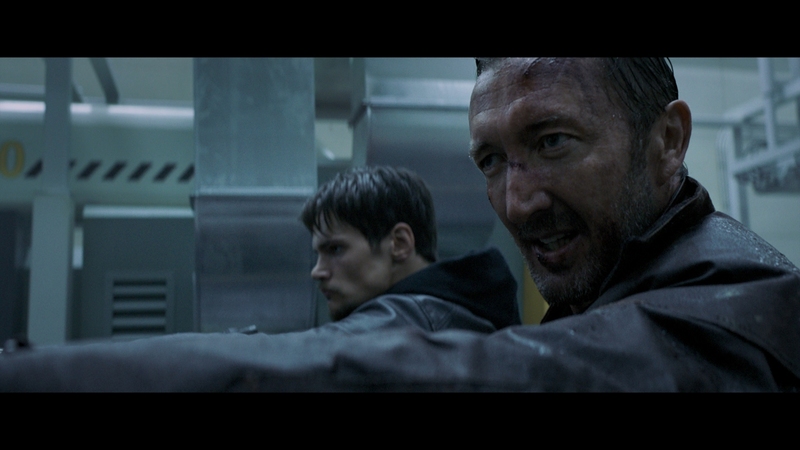 Great as all that is, positional work sells Hurricane Heist. Debris follows a clean path through the available channels. Wind whips around, carrying rain that smashes into everything. Vehicles pan and bullets go astray, filling front and rears. With tremendous dynamic range, balance is still achieved. Dialog is clear in the center even in the heaviest parts of the storm. Surround use never sounds artificial. It’s great stuff. Director Rob Cohen offers up a commentary track by himself, followed by the first featurette, Eye of the Storm. This 17-minute, general making of has an almost indie feel in terms of production value. Hollywood Heist delves into Cohen’s career during a talking head interview that runs 23-minutes. A couple deleted scenes and a short effects reel see the disc to its conclusion. No one will confuse Hurricane Heist with an intelligent action thriller, but the level of stupid on display moves it to an entertaining level. The 15 unaltered images below represent the Blu-ray. 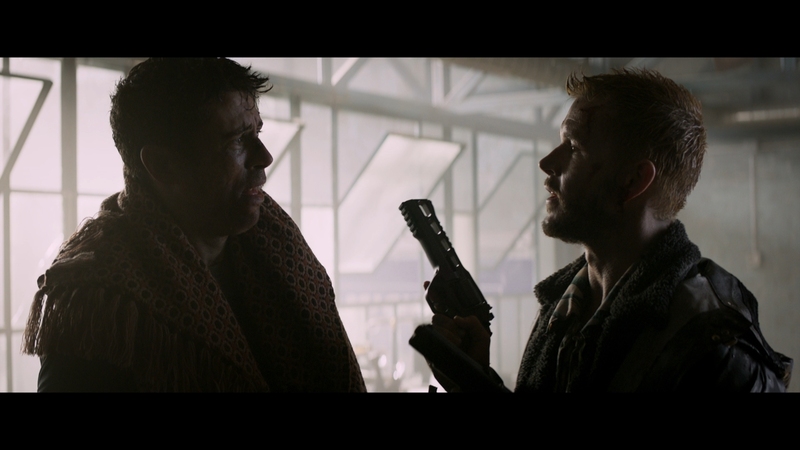 For an additional 11 Hurricane Heist screenshots, early access to all screens (plus the 12,000+ already in our library), exclusive 4K UHD reviews, and more, support us on Patreon.